A seventh-generation ballad singer, storyteller, and claw-hammer banjo player, Sheila Kay Adams was born and raised in the Sodom Laurel community of Madison County, North Carolina, an area renowned for its unbroken tradition of of unaccompanied singing of traditional southern Appalachian ballads that dates back to the early Scots/Irish and English Settlers in the mid-17th century. Adams learned to sing from her great-aunt Dellie Chandler Norton and other notable singers in the community such as, Dillard Chandler and the Wallin Family (including NEA National Heritage Fellow Doug Wallin). In addition to ballad singing, Adams is an accomplished claw hammer-style banjo player and storyteller. She began performing in public in her teens and, throughout her career she has performed at festivals, events, music camps, and workshops around this country and the United Kingdom. Other performances include the acclaimed International Storytelling Festival in Jonesborough, Tennessee as well as the 1976 and 2003 Smithsonian Folklife Festival as part of The Bicentennial Celebration and Appalachia: Heritage and Harmony. Adams is the author of two books: Come Home With Me, a collection of stories published by the University of North Carolina Press and a 1997 winner of the North Carolina Historical Society’s award for historical fiction. My Old True Love, a novel, was published by Alonquin Books in 2004. Sheila Kay has also recorded several albums of ballads, songs and stories including; My Dearest Dear (2000), All The Other Fine Things (2004), and Live at the International Storytelling Festival (2007). Adams appeared in the movies Last of the Mohicans (1992) and Songcatcher (2000), a movie for which she also served as technical advisor and singing coach. Paula Bradley A West Virginia-born multi-instrumentalist (banjo, guitar, banjo-uke and piano), Paula has been involved in old-time traditional music for many years. Known for her strong, spirited vocals as well as her clogging, she has toured (on banjo) with old-time darlings “Uncle Earl”; with old-time powerhouse Bruce Molsky (on guitar and banjo uke); and recorded and toured with Tony Trischka and Bruce as part of the acoustic roots trio “Jawbone”. She was also a founding member of the acclaimed old-time trio “The Rhythm Rats” as well as the popular New England honkytonk combo “Girl Howdy.” For the last 18 years she performed with her late husband, Bill Dillof, in the old-time duet “Moonshine Holler” as well as their trio with VT fiddler Jim Burns, “Run Mountain. She currently leads her own juke joint band “Miss Paula & The Twangbusters” (piano and lead vocals), and is continuing to play traditional music with various partners, including blueswoman Marylou Ferrante as“Banjo Blue”. Josh Goforth must have been born musical—he was already playing piano in church at the age of four—but it was an experience he had in the sixth grade that really lit the fuse of his precocious musical career. A performance at Goforth’s middle school by Sheila Kay Adams caused him to start thinking about the musical heritage and stories of his native Madison County, NC. A couple of years later, he received his first guitar from one of his great-uncles, and began to learn the instrument under the tutelage of another great-uncle. The great-great-great-grandson of Madison County fiddler Asbury McDevitt was launched on a career in traditional music. Over the next few years he learned to play at least 15 different instruments by ear, learning from such local masters as Gordon and Arvil Freeman. Most famous for his fiddling, Goforth is a highly accomplished oldtime, bluegrass, and swing musician, but is remarkably versatile, able to pick up any of a wide variety of instruments and make a solid contribution in almost any kind of band. He was active in his high school’s music program, and with Goforth as drum major, the Madison High School Marching Band won first place in each of the thirty-three competitions it entered. Among the pieces in its repertoire was a composition that Goforth wrote, based on a sacred harp hymn. After high school he went to East Tennessee State University to study music education, and to be a part of ETSU’s famous Bluegrass and Country Music Program. In 2000, he played fiddle for the movie Songcatcher, both onscreen and on the soundtrack. 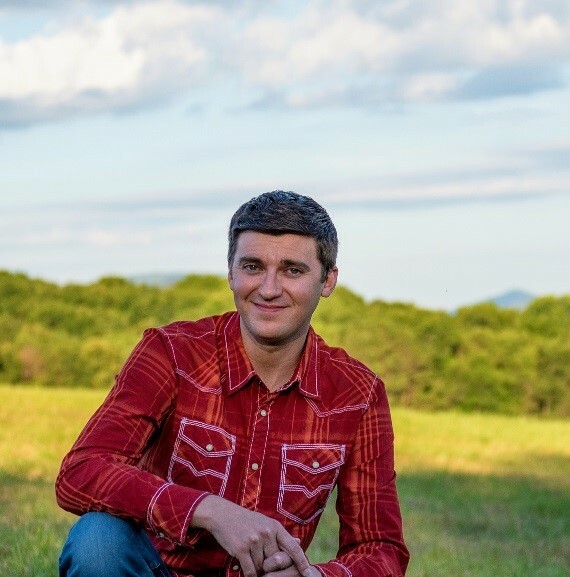 He has toured extensively with a variety of ensembles, including the ETSU bluegrass band, with David Holt and Laura Boosinger, and with several bluegrass bands including Appalachian Trail, the Josh Goforth Trio, the steep Canyon Rangers and Carolina Road. He has performed in all 50 US states, all over Europe, and in Japan. In 2000, 2003, and 2005, he was named Fiddler of the Festival at Fiddler’s Grove and, after winning the third title, was designated “Master Fiddler” and retired from that competition. He has performed at the Grand Ole Opry as well as Carnegie Hall. In 2009 he was nominated for a Grammy for his album with David Holt entitled “Cutting Loose”. Rev. Robert Jones, Sr. is a native Detroiter and an inspirational storyteller and musician celebrating the history, humor and power of American Roots music. His deep love for traditional African American and American traditional music is shared inlive performances that interweave timeless stories with original and traditional songs. For more than thirty-five years Robert has entertained and educated audiences of all ages in schools, colleges, libraries, union halls, prisons, churches and civil rights organizations. At the heart of his message is the belief that our cultural diversity tells a story that should celebrate, not just tolerate. Rev. Robert Jones makes his home in Detroit while performing throughout the United States, Canada and Europe. 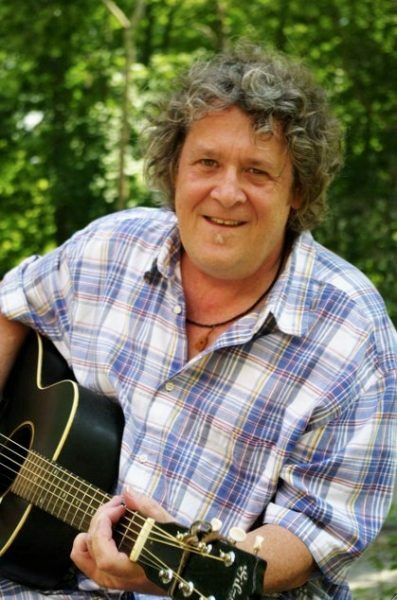 An award-winning multi-instrumentalist, he is accomplished at guitar, harmonica, mandolin, banjo and fiddle. He has recorded six albums of original and tradition songs. 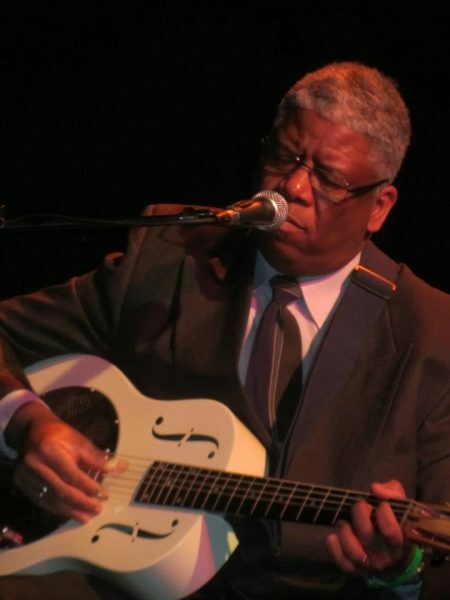 Robert is the former host of the award-winning radio programs “Blues from the Lowlands” and “Deep River” broadcast on Detroit Public Radio’s WDET-FM Detroit. And he has taught at music history courses at Wayne State University in Detroit.As an ordained minister and a Baptist pastor, he has an unwavering faith the cultural importance of sacred and traditional American roots music. 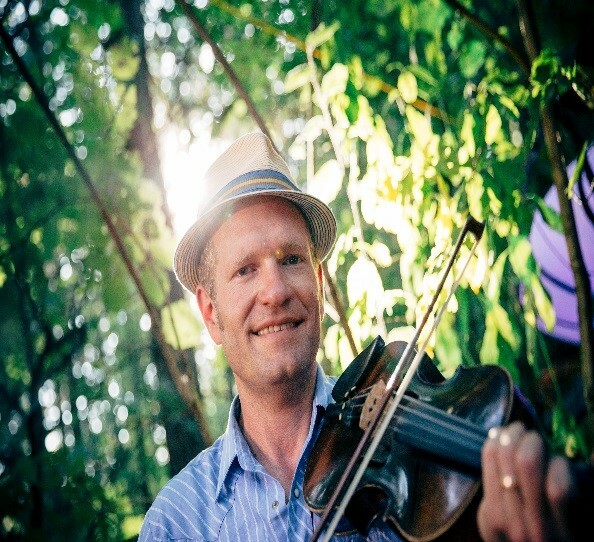 Mick Kinney has been playing traditional fiddle since the 1970’s, and is skilled in a multitude of instruments in an eclectic repertoire, which includes Cajun, blues, rags, and swing. Mick has taught old-time music at The Swannanoa Gathering, the Alabama Folk School, and the Blue Ridge Old-time Music Week, among others, and performs regularly with his string band, The Georgia Crackers. Learn more about his band and hear them play on their Facebook page. Nadine Landry was born and raised in a musical family in the Gaspe Peninsula on the east coast of Quebec. Equally comfortable on guitar and upright bass, she has leant her talents to various bands ranging from bluegrass and old time to honky tonk and Cajun. 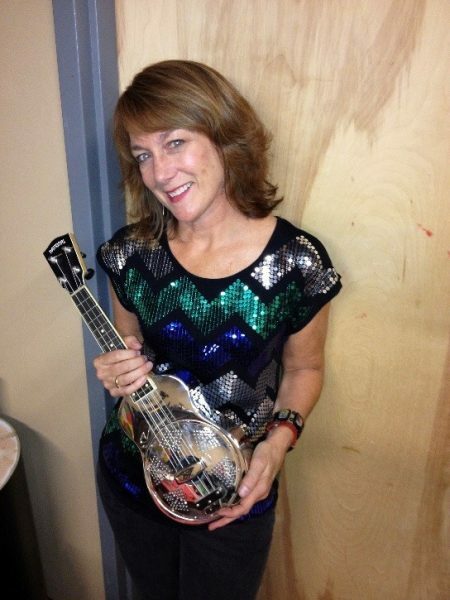 She plays with the Foghorn Stringband, The Cajun Country Revival and tours as a duo with Stephen “Sammy” Lind. Born in Minnesota, Sammy Lind has established himself as one of the most critically acclaimed old time musicians in the world. He spent many years in Portland, OR, where he co-founded the Foghorn Stringband in the year 2000 with some pals who shared a similar passion for traditional music. 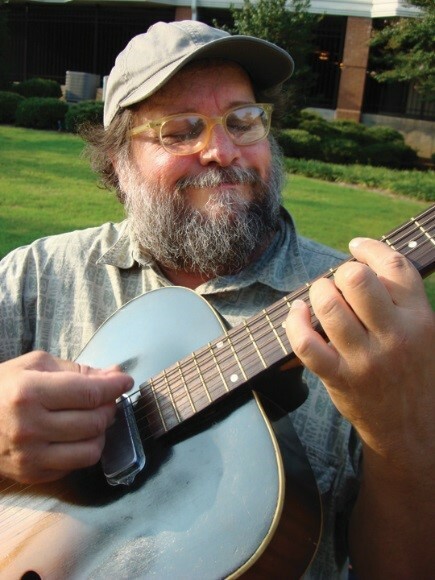 Sammy has traveled the world playing and teaching a vast repertoire of tunes from Appalachia and the Midwest. His playing reflects tremendous respect and passion for all the fiddle players and old recordings he spent countless hours learning from and a power that only comes from years of playing for dances. After a few years up in Whitehorse, Yukon, Sammy has settled in eastern Quebec, in the village of Pointe-à-la-Croix, with his wife/bandmate, Nadine Landry. Experience: Sammy has taught at the Festival of American Fiddle Tunes, Augusta Old Time Week, Ashokan Southern Week, Minnesota Bluegrass and Old Time Festival Camp, Sorrento British Columbia Bluegrass Workshop, Nimble Fingers Bluegrass and Old Time Music Workshop, Yukon Woodshed, California Bluegrass Association’s Summer and Winter Camps, Sioux River Folk Festival, Indiana Fiddler’s Festival, Fiddle Fair in Ireland, Open House Festival in Ireland, Rainforest World Music Festival in Malaysia, Harrietville Bluegrass Festival in Australia, Sore Fingers Workshop in England, and many more. He has two instructional DVDs available, ” Stephen ‘Sammy’ Lind’s Old Time Fiddle Tunes- Beginner and Advanced” available from Foghorn’s website, foghornstringband.com. Lightnin’ Wells produced the first commercial recordings of the N.C. blues veterans Big Boy Henry, Algia Mae Hinton and George Higgs. He has traveled and performed extensively with these musicians and has documented their backgrounds and musical histories for future generations. He is also a life-long student and devotee of the pioneering performers in the piedmont blues tradition which once thrived in the Carolinas, including such artists as Blind Boy Fuller, Rev. Gary Davis and Elizabeth Cotton; deceased musicians whose influence seems only to grow with time. With his experience, knowledge and well-honed performance skills, Lightnin’ Wells has established himself at the forefront of the traditional blues revival. His musical style is personal and energetic yet remains true to the original root form. His goal is to entertain and educate using a variety of sources, influences and techniques to express his dedication, respect and pleasure in presenting this unique American art form. Wrote one recent reviewer; “Whether you look for to performers for inspiration, education, virtuosity, or sheer entertainment, Lightnin’ Wells delivers all the above, every single time”. One of the most respected guitar players in old time music today, Beverly Smith is also in demand as a singer, fiddler, and dance caller. 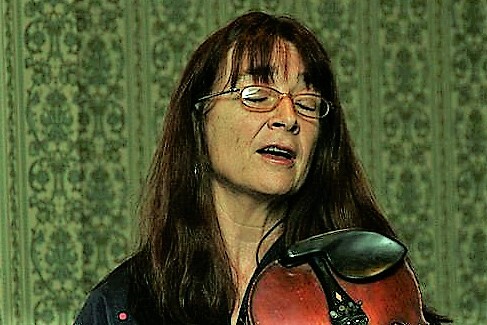 Besides her highly praised recordings of early country duets with Carl Jones, Alice Gerrard and John Grimm, her guitar playing has been featured on recordings of fiddlers Bruce Molsky, Rafe Stefanini, Tara Nevins and Matt Brown, and her singing with Mick Moloney, John Doyle, Laurie Lewis and others. Along with June Drucker, Rose Sinclair and Tara Nevins, she was a founding member of The Heartbeats Rhythm Quartet. She has taught guitar, fiddle and dance at music camps including Ashokan Southern Week, Augusta Heritage, Swannanoa Gathering, Blue Ridge Old-Time Music Week, Festival of American Fiddle Tunes and Summer Acoustic Music Week as well as Sore Fingers UK; Haapavesi, Finland; and La Fuente del Musica in Spain. 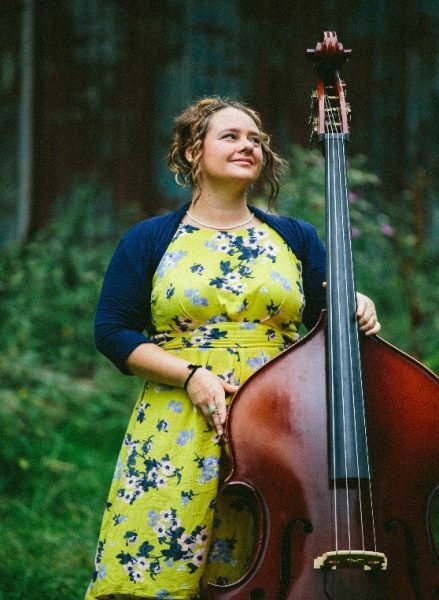 She has been a featured guest on A Prairie Home Companion, ETown, Mountain Stage and Voice of America, has toured extensively in both the US and the UK, and has played concert halls and festivals all over Europe, Canada and the US. Her guitar playing was featured in the October 2000 issue of Acoustic Guitar Magazine. She is happy to call Marshall NC home. Hilary has extensive performance experience. She recently completed a month long tour of Australia with her present band, the Orpheus Supertones. She performed and recorded with North Carolina Heritage Award winners Luke and Harold Smathers and Carroll Best, who also was the recipient of the National Heritage Award. Several of Hilary’s original tunes and songs have been recorded by other traditional artists. She recently completed a recording project combining banjo with traditional Nepali instruments, including Sarangi Master Parashuram Bhandari and Tabla Master Achyut Ram Bhandari. She has recorded over ten albums of traditional Tibetan vocal music, which are internationally available. Hilary, along with Alice Gerrard and others, founded The Old-Time Herald in the mid-1980s. She helped to start the Blue Ridge Old-Time Music Week at MHU and was director of the program for many years thereafter. 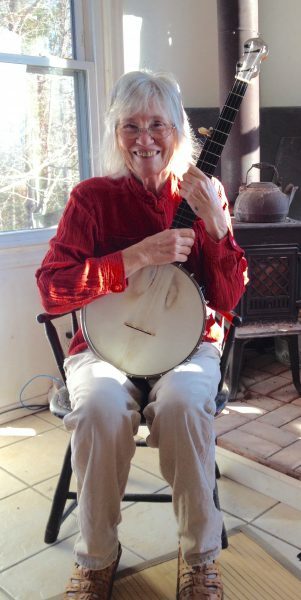 She has taught at numerous music camps including the Alabama Folk School, the Western North Carolina Banjo Clinic, as well as in the UK for FOATMAD. With fiddler Mary Gordon, Hilary has co-authored several books in the All-In-One series, an innovative approach to old-time music including banjo tab and fiddle notation on facing pages. Her book Banjo Without Tears includes interesting tunes for aspiring banjo players. All books include CDs.